Why Doesn’t the Colorado River have Wild and Scenic River Status? One hundred years ago, we treated rivers as commodities to harness and control. Initially, the fight to maintain free-flowing rivers was a reactionary process of halting development projects and cleaning up polluted waters. The passage of the Wild and Scenic Rivers Act in 1968 provided a tool to preemptively protect sections of river. In the past 50 years, 209 of America’s most iconic rivers have been protected through by this act. However, the Colorado River through Grand Canyon–arguably our country’s most famous river–has not received Wild and Scenic designation. Today, this act protects 12,754 river miles. This represents one quarter of 1% of the 3 million river miles in the United States. The act is widely recognized across the world for maintaining rivers in their wild state despite the 75,000 large dams that impact approximately 600,000 miles of U.S. rivers. 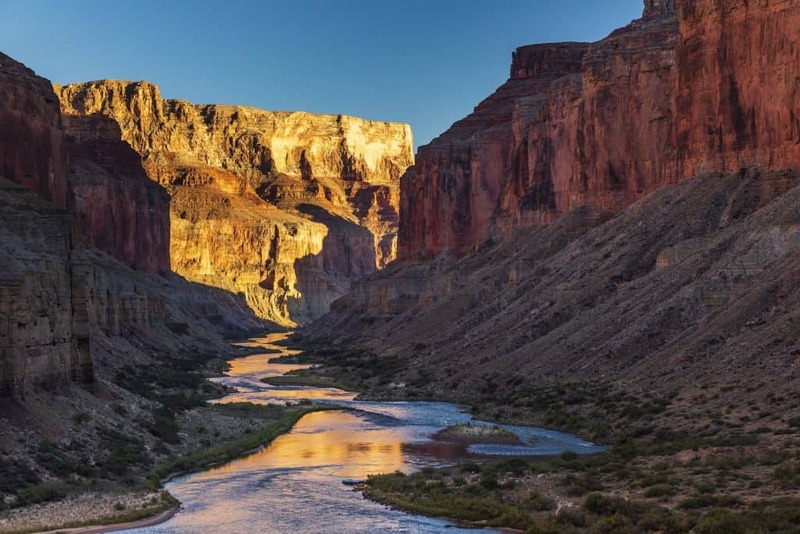 While most designated rivers have more than one of these values, few have as many as the Colorado River through Grand Canyon. Wild is defined as a free-flowing section of river that has undeveloped surroundings, unpolluted waters and accessibility only by trail. The Colorado River would fit into the highest level designation of Wild. There are many assumptions regarding why the Colorado River does not have Wild and Scenic designation. First and foremost is the belief that Grand Canyon’s status as a National Park makes Wild and Scenic protection redundant. However, there have been disputes over dams in National Parks, such as Hetch Hetchy Dam in Yosemite National Park. National Park status does afford the Colorado a certain level of protection. Yet, the Wild and Scenic Rivers Act would make protection more comprehensive by specifically prohibiting the construction of dams or other public works projects. Indeed, Yellowstone, Grand Teton, and other National Parks have designated rivers within their boundaries. Despite the presence of dams and motor rafts, the Colorado River is still eligible for Wild and Scenic status. In fact, many Wild and Scenic Rivers have dams above and below including the Tuolumne River in California and the Snake River in Idaho. Additionally, on the Salmon River in Idaho and the Rogue River in Oregon, jet boats are allowed to operate on sections designated Wild or Scenic. Another concern is the presence of Indian reservations along some sections of the Colorado River. Yet, the Act allows designation for such sections with Indian sovereignty consideration. The reservations maintain control of their lands and manage their adjacent lands in accordance with the act. For example, designated sections of the Eel River and the Trinity River both flow through Indian Reservations in California. While it is legal to designate sections in reservations, sovereignty remains an important issue. 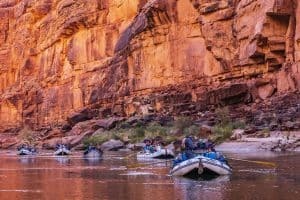 If the tribes opposed designation, the 100+ mile section of Colorado River from below the Little Colorado to Tuck-up Canyon could still be designated, as it is not bordered by reservations. With the continued growth and development of our country, there is an escalating pressure on our remaining wild places. We are fortunate that past generations have cultivated a balance between developed and wild lands. Wild and Scenic designation would mutually benefit the Colorado River and the Wild and Scenic Rivers Act by giving the river another layer of protection. It would also lead to broader public awareness and support for river conservation. There are two paths to designation. Congress can write an act that the President approves or unapproves. Or a state can designate a section of river as wild, scenic or recreation. The state and Governor then recommends the designation to the Secretary of Interior. 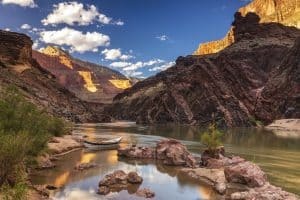 Write your Senators, Representatives, and Governor if you feel strongly that the Colorado River in Grand Canyon should be designated! For instructions on writing your Senators or Representatives, click here. For instructions on writing your Governor, click here. new article posts. Email used for article notifications only.